So many people ask me for breakfast recipes and I always tell them to eat leftovers from whatever they had for dinner the night before. This never goes down well because very few can imagine eating chicken or fish for breakfast. 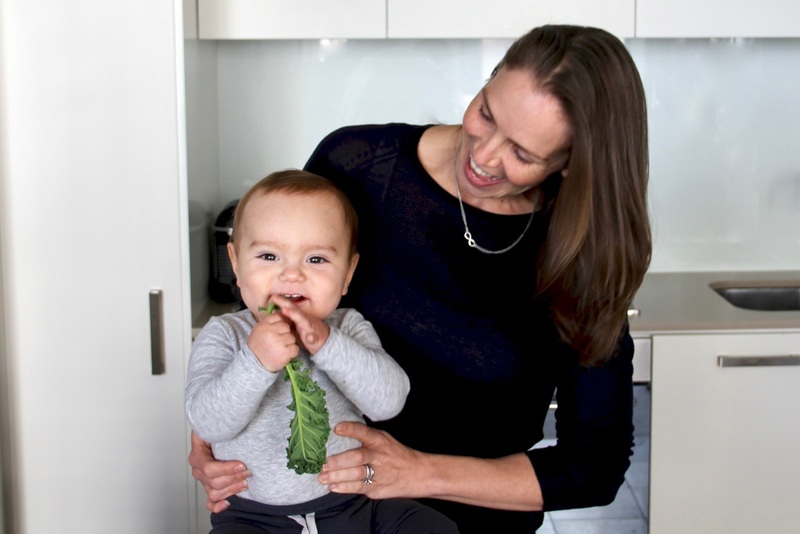 You should try it though – it makes life and meal prep so much easier! Preheat the oven to 175°C Fan Forced (350°F). 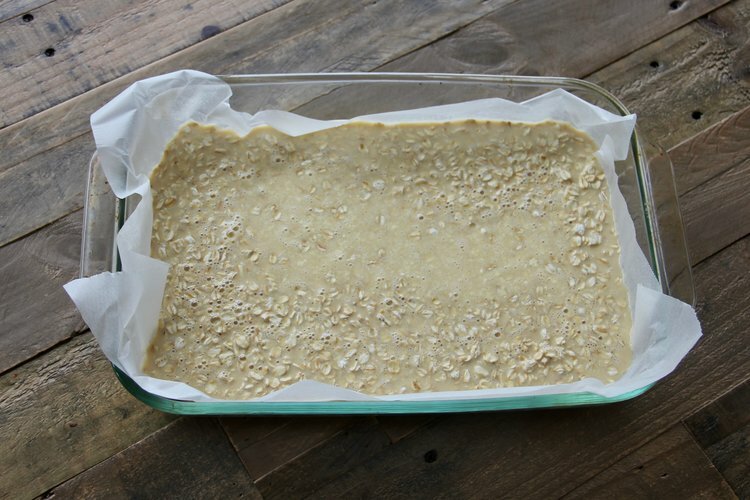 Line a 13 x 9 glass baking dish with baking (parchment) paper and evenly spread the oats at the base. 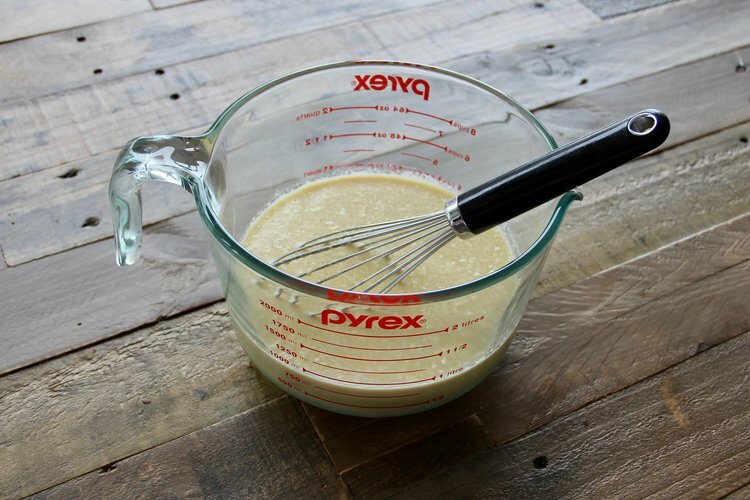 In a large microwave proof mixing bowl (I like to use the 8 cup Pyrex bowls), add the butter or coconut oil and melt it in the microwave. Then add the eggs (one at a time, lightly beat each one) and add the almond milk. Finally add the baking powder and salt and whisk until fully combined. 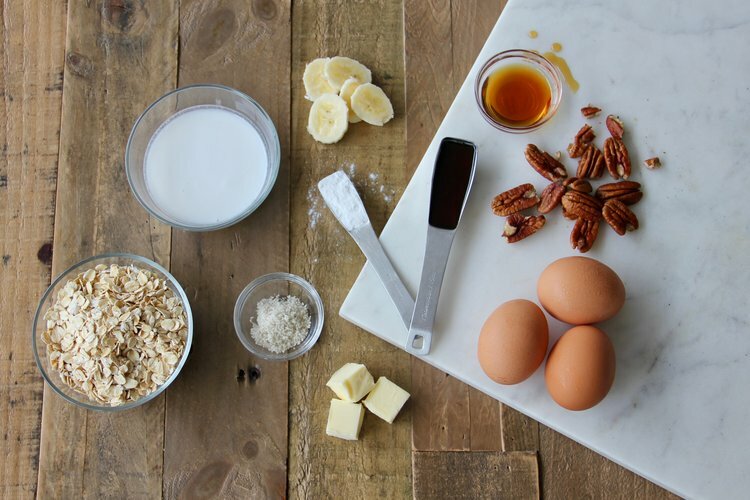 Pour the mixture over the oats and tap the dish to spread evenly. 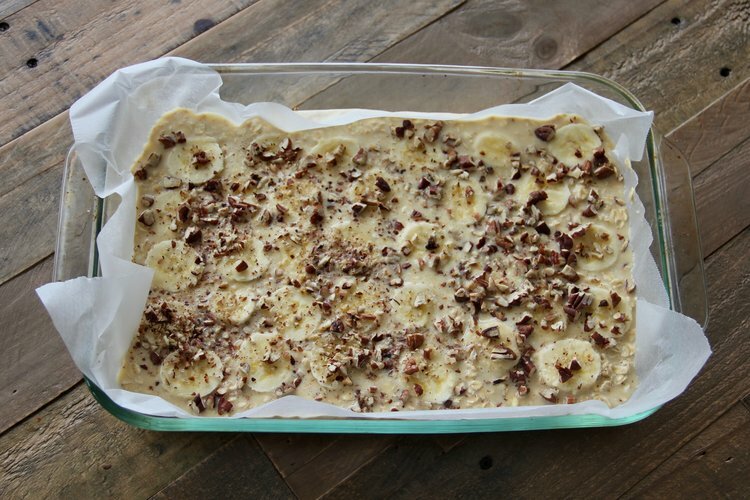 Top with sliced and quartered banana and the crushed pecans. 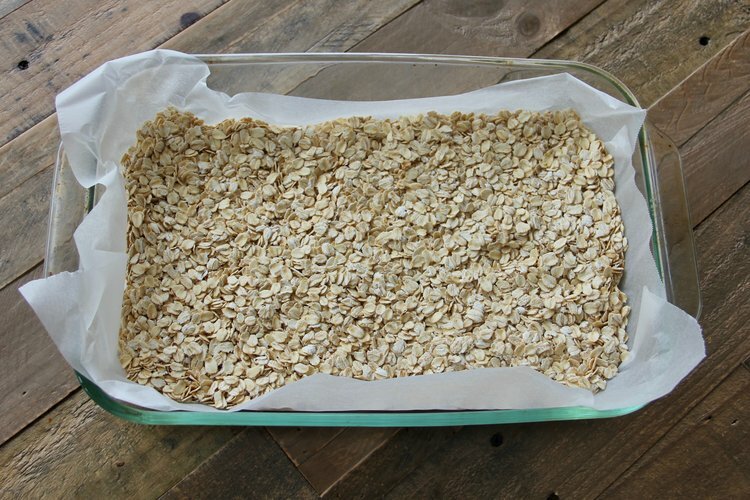 Bake uncovered in the oven for 25-30 minutes or until the oats are set. 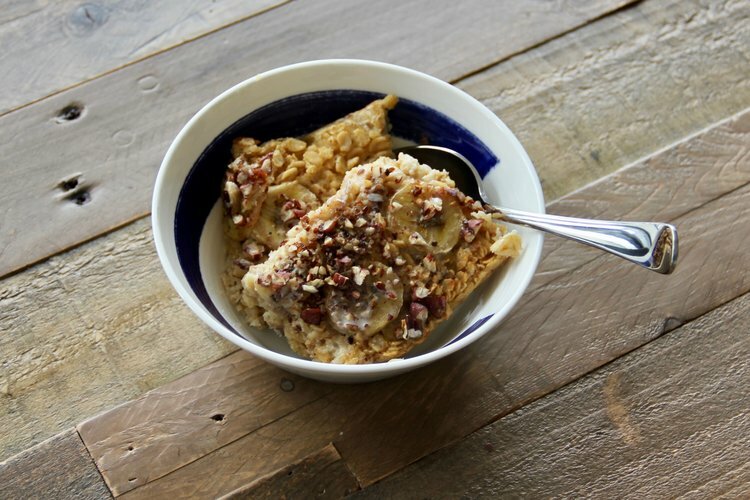 Serve immediately with a splash of almond milk or cover, refridgerate and reheat later, adding the almond milk then. I personally can eat this cold right out of the pan! I have made this with blueberries, raspberries and strawberries as well and it’s delicious so if banana isn’t your thing (or it’s too high in carbohydrates) go for berries!